If you like Nutella, here’s a delicious fusion of the chocolate-hazelnut spread with strawberries and banana. The spread was invented during the 1940s when cocoa was in short supply. An Italian pastry baker used hazelnuts to enhance the chocolate he had in his bakery. Mixed with hazelnut, a family could use a jar of spreadable chocolate for many weeks. Nutella owner, Michele Ferrero, sometimes referred to as a real-life Willy Wonka, died last Saturday (yes, Valentine’s Day) at the age of 89. 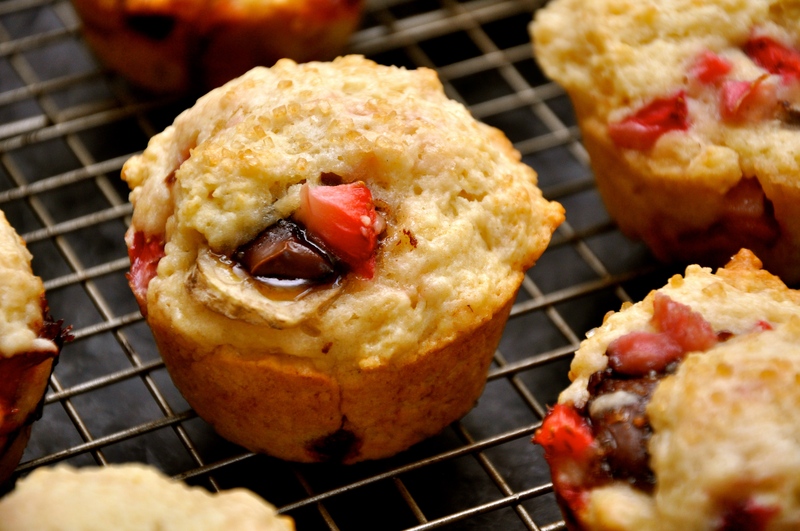 These crumbly muffins are a muffinized™ version of the crepe filled with chocolate, sliced banana, and fresh-cut strawberries. The bananas and strawberries add vitamins and fiber to the classic Nutella sandwich on white bread, which kids in Holland and Israel love to eat for lunch. 1. Preheat oven to 350 F degrees. 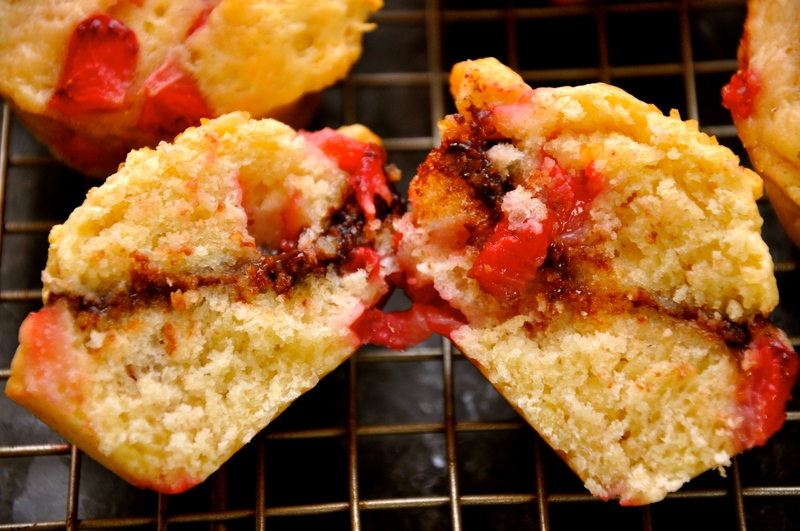 Grease muffin pan with cooking spray. 2. In a medium bowl, whisk together the flour, salt, baking powder, and sugar. Set aside. 3. In a large bowl, whisk together oil, eggs and vanilla. 4. Gently fold in the flour mixture in three parts, alternating with the buttermilk. NOTE: DO NOT overmix! Mix only until all the flour has been incorporated and the majority of lumps are gone. 6. Spoon some batter into each cup, about 2 tablespoons. 7. Place two banana slices at the bottom of each liner. 8. Spoon or pipe ½ Tbsp or so of Nutella over the banana slices. NOTE: You may put Nutella in a ziploc sandwich bag, cut the tip and squeeze it over the banana (much easier than spooning). 9. 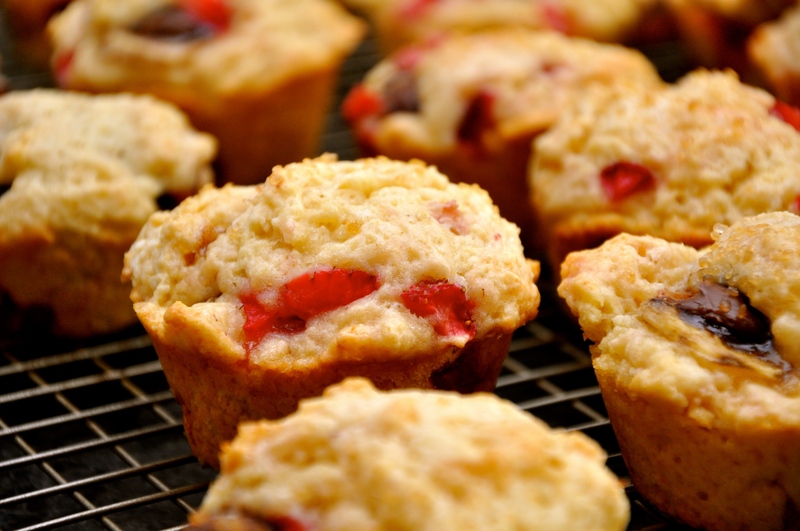 Fill each muffin cup with the remaining batter to ⅔ full, making sure to get strawberries in each cup. 10. 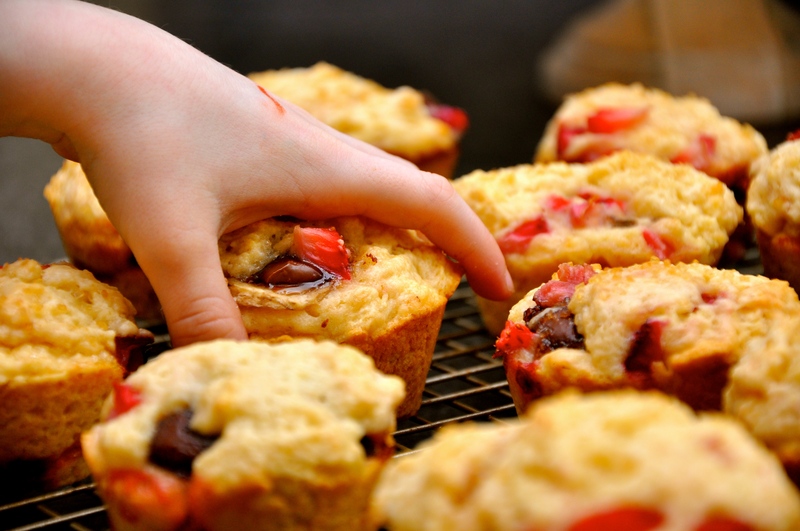 Top each muffin with a generous sprinkling of sugar and drizzle some Nutella on top. 11. 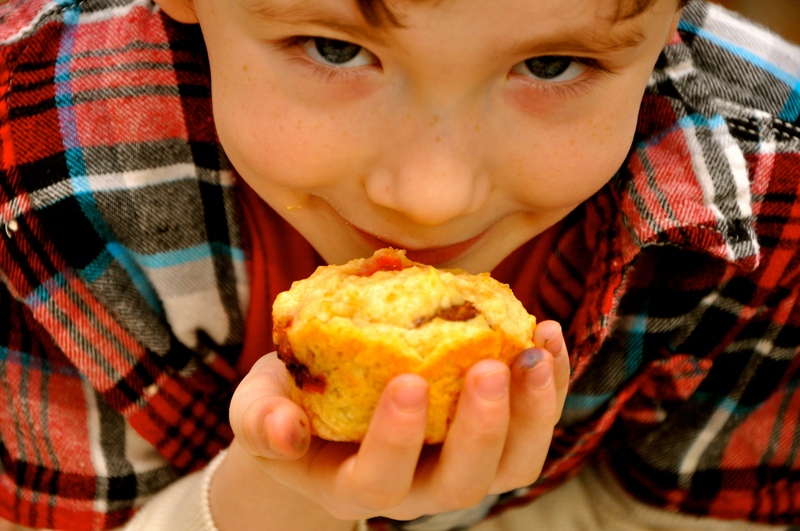 Bake muffins for 20-22 minutes or until a toothpick inserted into a muffin comes out clean. 12. Let cool in pan for 4-5 minutes before removing to a wire rack to cool completely. NOTE: If you want to eat these warm, you can, but I suggest letting the muffins cool for at least 30 minutes so the Nutella has time to set.